Thung Nang or Sunshine valley in English. It's Located about 5 minutes by motorbike from Bich Dong temple. 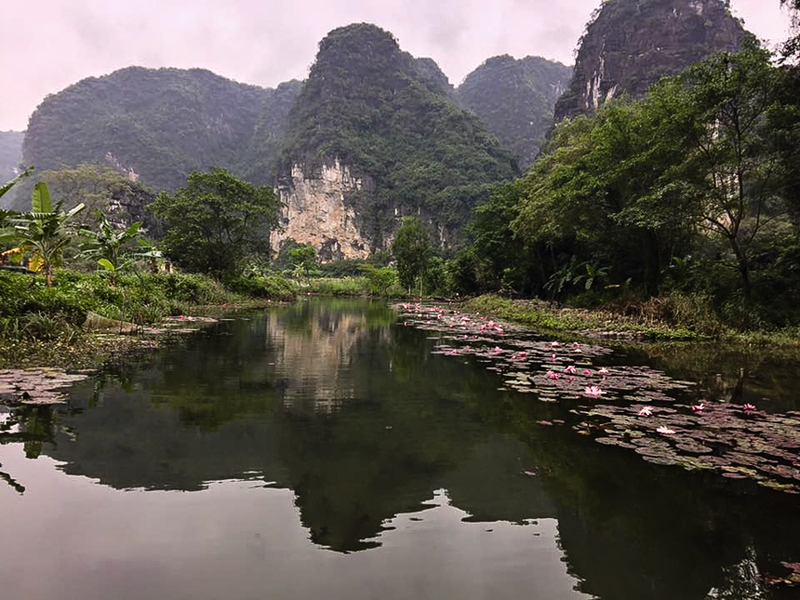 It's is a new tourist destination of Ninh Binh province. Other than the excitement of Tam Coc, this place is quiet and more pristine. The lake is immense green and surrounded by high limestone mountains. How Sunshine valley is unique? The local people call it the flooded areas surrounded by mountains. And each of them has its own name. Before the local people can planting rice on dry season. But nowadays tourism investment development of local government has made dams for sprinting, visitors can visit any season in year. From the wharf Thach Bich on a small boat will take you hovering around the mountains to a sunny valley that local people called Sunshine valley. This is the name of the sun shining all over. Such as through the branches, through the rustic rugged shore, through the bottom to create a beautiful and peaceful scene. The more beautiful the cave system, the more caves look like, sometime you have to bow low to not touch the stalactites in the ceiling, there are places to look up high To capture all the mysterious nature as the gift for this place. It's not bad idea Vietnam tours for singles boat trip on this valley. Each of these places can be connected to each other by the cave system eaten in the mountains. When the boat goes through the cave you take from one valley to another, the scenery opens in front of you seem to be more beautiful, more charming, the days with light wind may you hear the flute reverb Reeds near the shore. A free weekend with family to visit the Sunshine valley you will probably enjoy a space interesting, worth not have to sit in the city always have such moments in this place. 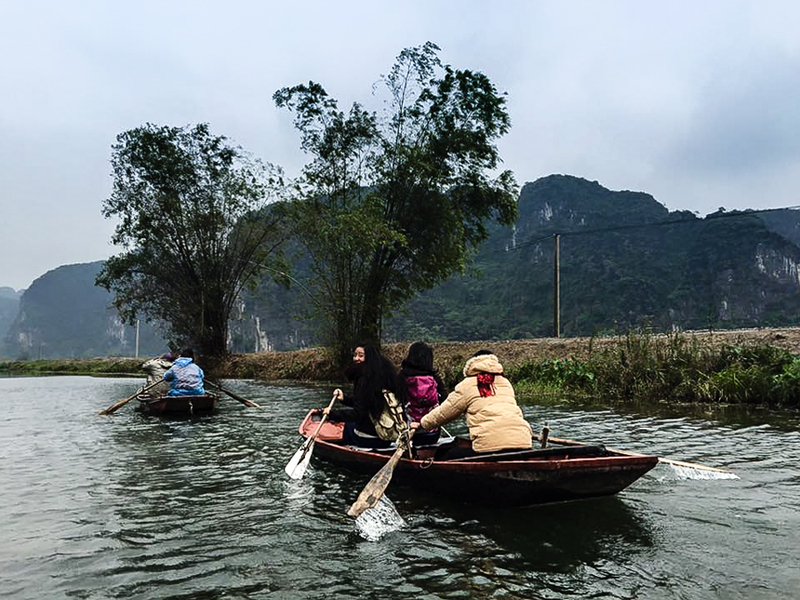 There are too many tourist in Tam Coc and Trang An, You want to go Ninh Binh river tour with more quite so Sunshine valley is the best option.